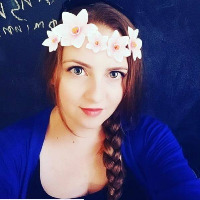 I am a writer, editor, and content consultant and would love to help you with everything from basic SEO blogs and informational articles to social media posts and product descriptions. I also dabble in data entry, project management, and content strategy, but my favorite thing to do is make clients happy. As a digital native and professional writer, I love helping clients achieve their goals and bring their ideas to life through expertly written, high-quality content. Experienced in the marketing, education, personal finance, and parenting industries, I have been working as a full-time copy writer and editor since 2011. I have written content for Fortune 500 companies, independent law firms, indie publishers, small-business owners, and mainstream websites. As a mother of two, I bring first-hand knowledge to the subject of kids and family. I've been in the trenches of sleepless nights, cluster feeding, and potty training, and I'm *almost* thankful to have moved on to the tween years. I have extensive experience with the attachment parenting philosophy, babywearing, cloth diapers, and breastfeeding. I have an undeniable passion for encouraging, supporting, and reassuring mothers that they really are doing a great job. Working as a writing center assistant in both the online and face-to-face formats lets me hone my skills and stay up-to-date on the latest research, trends, and technology in the education, composition, and rhetoric sectors. I have written on the unique challenges of working as an educator in an online-only environment and have had my work published on TipsyLit. My favorite points of discussion include navigating group dynamics in small-group tutoring and how to take a non-directive approach. A lifelong student with a passion for learning, I love being able to give back and share my strategies and experience with others.